Item:Multifunction Intelligent Home Appliance Cleaning & Disinfection Machine, Clean&Disinfect to Air conditioner,Water heater, Fridge,Washing machine,Range hood,etc. Brief Description: Multifunction Intelligent Home Appliance Cleaning & Disinfection Machine is a 4 in 1 home appliance maintenance equipment,including the function of producing high pressure cold water,high pressure&high temperature hot water,high pressure&high temperature steam,and ozone disinfection.Pressure can be regulated if you want.It is controlled by the in-built microcomputer,use touch operation technology. 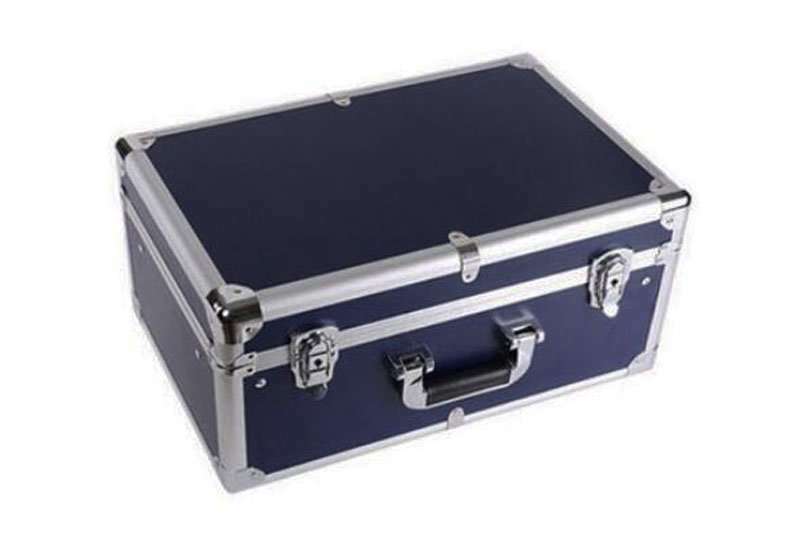 All parts are in a tool box,light weight and portable.It seems professional,and it is a must-have cleaning service kit for Home Appliance Maintenance Agreements service,improve cleaning work efficiencies.If you want to open a Home Appliance Cleaning and Maintenance service,it`ll be your good assistant. Featured functions: producing high pressure cold water,high pressure&high temperature hot water,high pressure&high temperature steam, ozone disinfection,high temperature disinfection. 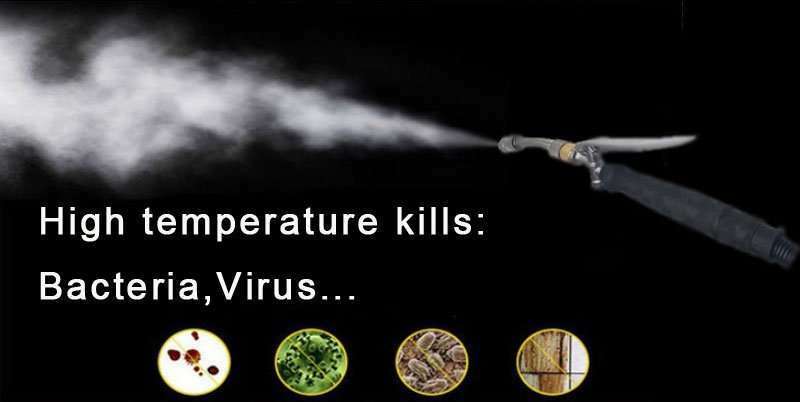 Usage:to clean and disinfect home appliance,including air conditioner,water heater,fridge,washing machine,range hood,etc. 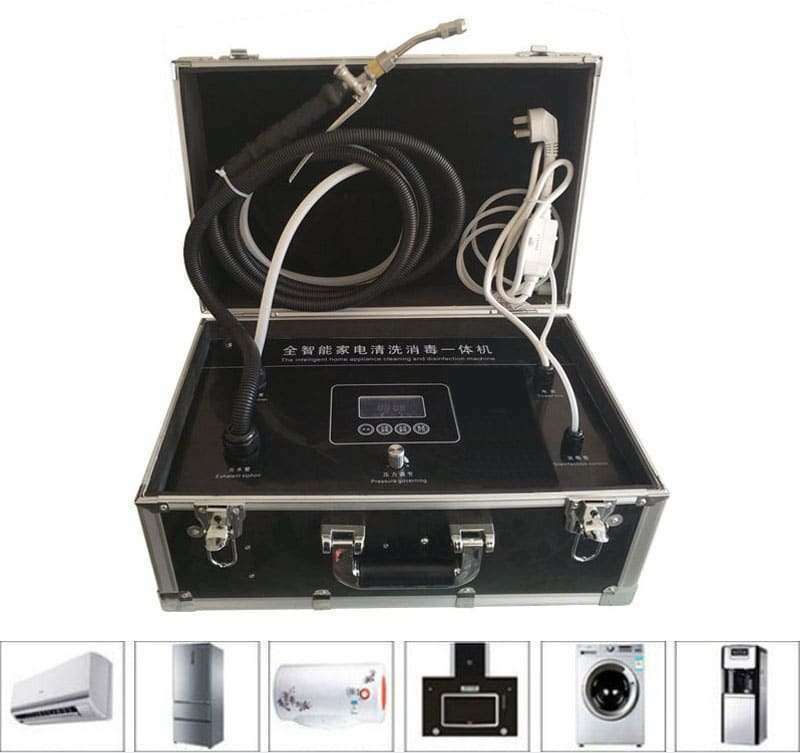 Multi-function,Can clean air conditioners,fridge,washing machine,electrical water heater,water dispenser,range hood,solar water heater,and other home appliance. 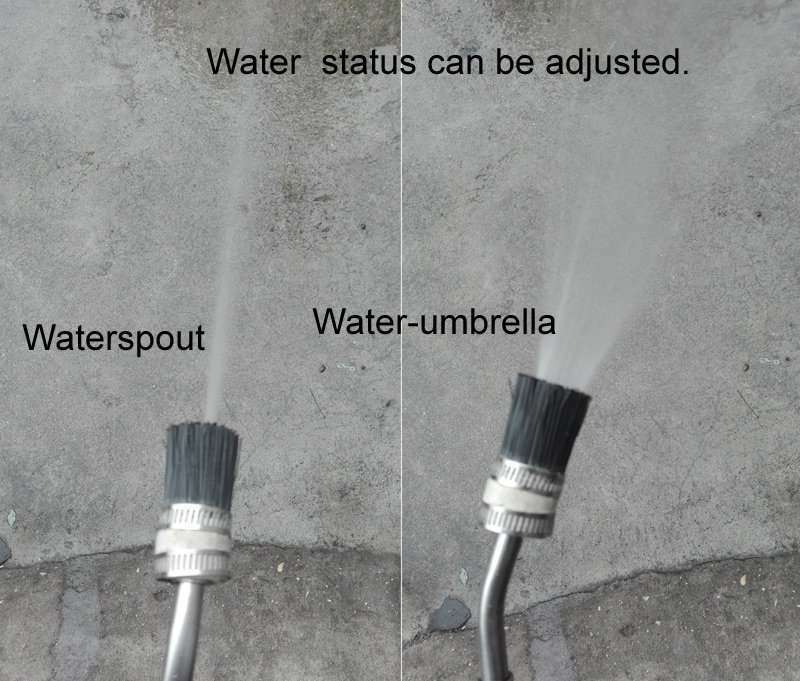 Splash -proof technology on nozzle. No splash problem when flush washing. √ It is controlled by micro-computer,touch technology operation. 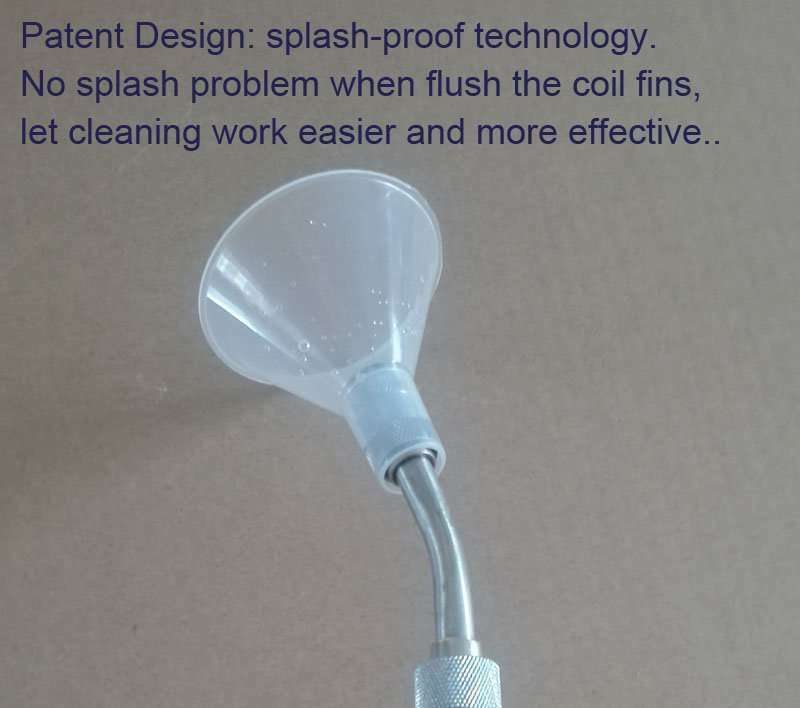 √ Splash -proof technology. No splash problem when flush washing. Spray cold water: Touch “Power” to switch on the machine,and then touch ” Mode” to choose “Cold”, to spray out the pressured cold water.Rotate the “Pressure Governing” to regulate the water pressure. Spray hot water: Touch “Power” to switch on the machine,and then touch ” Mode” to choose “Heat”, to spray out the pressured hot water.Rotate the “Pressure Governing” to regulate the water pressure.Touch “Temp./Time” to regulate the water temperature. Disinfection: Touch “Power” to switch on the machine,and then touch ” Mode” to choose “Disinfection”, to pump out ozone. (If it still doesn`t work,just press the button of “Temp./Time”,set time (not to be “00”),then it will work. Spray steam: Touch “Power” to switch on the machine,and then touch ” Mode” to choose “Steam”, to spray out the pressured steam,it can melt heavy greasy dirt or kill bacteria or Varius. Input Voltage is 220V. If you need 110V,need to equip a voltage converter(can purchase it from our company). Contact airconditioner@smartclima.com for more details and prices. 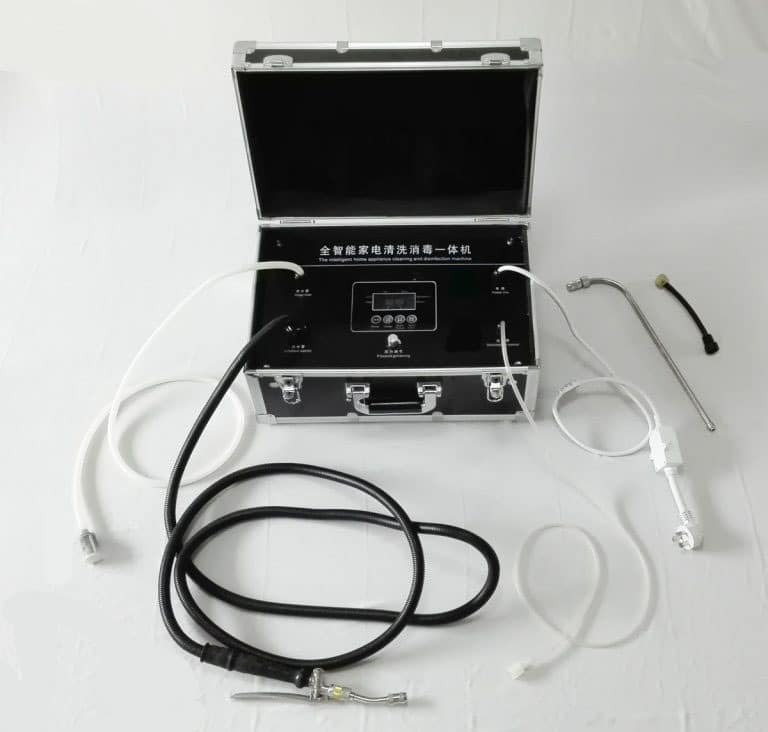 HVAC Parts >>Air Conditioner Spare Parts>>Materials for Air Conditioner Cleaning and Maintenance>>Air Conditioner Cleaning Machines And Tools>>Multifunction Intelligent Home Appliance Cleaning & Disinfection Machine.